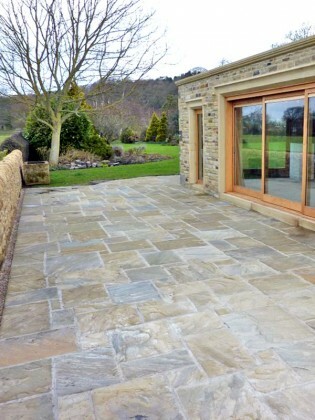 CB Stone supplies yorkstone products made from the highest quality natural yorkstone from our quarry in Yorkshire. We supply riven, sawn and reclaimed yorkstone paving and Yorkshire stone steps, and a range of yorkstone masonry for building and garden projects. Contact us today. Natural Yorkstone paving is both beautiful and durable and is ideal for pavements, patios, swimming pool surrounds and kitchen flooring. We supply riven, sawn and reclaimed paving flags and tumbled setts (cobbles). 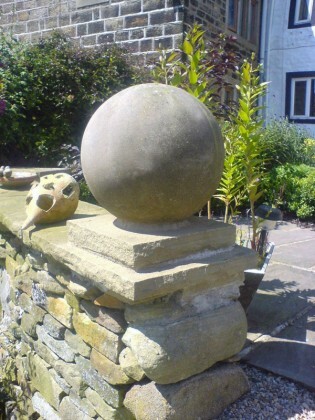 Yorkstone masonry is ideal both as a building stone for projects like entrance steps, window frames, cornices and mantles, and for creating natural stone garden ornaments, fireplaces, memorials and house signs.